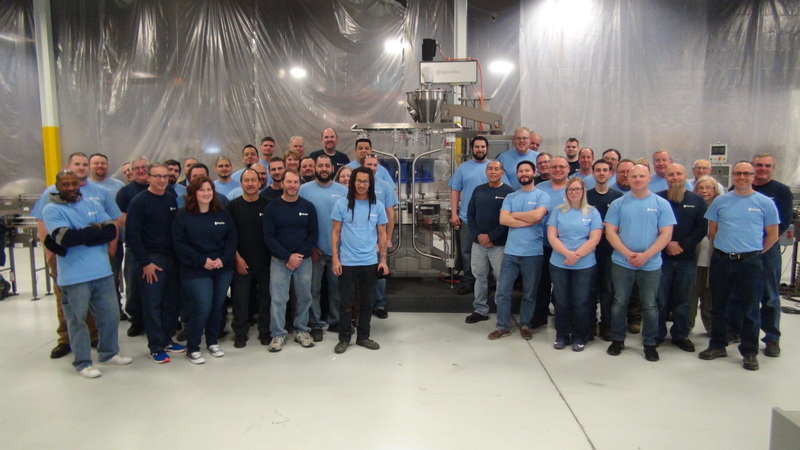 Faces of Trade: Spee-Dee Packaging Machinery, Inc.
Home / Spee-Dee Packaging Machinery, Inc.
Based in Sturtevant, Wisconsin, Spee-Dee Packaging Machinery, Inc. is an industry leading supplier of dry product filling system solutions for the food, pharmaceutical and chemical industries. Many of America’s most highly respected corporations, including General Mills, Kraft General Foods, McCormick & Company, Keebler, Pfizer, Abbott Laboratories and Dow Chemical, are now realizing increased profitability, productivity, and an immediate return on investment upon installation of our machinery. International trade and exporting are important parts of our company’s growth strategy. With almost 60 employees in the Badger State, we export to half-a-dozen countries directly including Brazil, Canada, Guatemala and Mexico, Russia and UK, and partner with OEM manufacturers to reach ten additional countries. In recent years, exports have accounted for as much as 13% of our company’s total sales, so trade policy has a significant impact on our company’s success. Free trade agreements are critical to our current and future success in the international marketplace. Washington should focus on enacting new and additional free trade agreements, which would have a favorable impact on our business. Brazil, for example is a market which holds significant potential for us, but due to current trade and tariff policies is not readily accessible. NAFTA has helped us immensely in that it has offered opportunities which very likely would not have existed if not for the agreement. The recent conversations and threats around withdrawing from NAFTA have served to significantly impact or stop projects which were otherwise underway and which we were planning to participate in. The result has been a stop to sales that we were otherwise confident would have taken place. Our leaders in Washington need to recognize the importance of NAFTA for small and medium-sized manufacturers like us and ensure that the modernization effort does not harm our ability to compete in Canada and Mexico. In recent years, exports have accounted for as much as 13% of our company’s total sales, so trade policy has a significant impact on our company’s success.